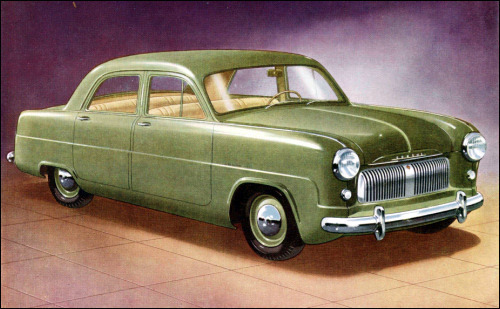 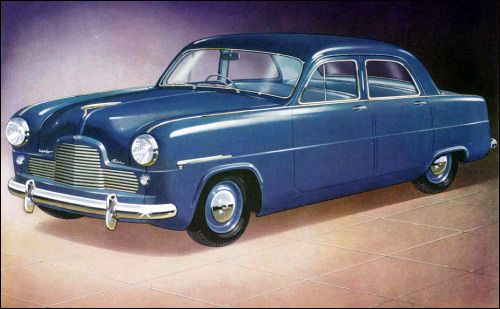 Ford Consul Model EOTA Saloon is a carryover from 1951. 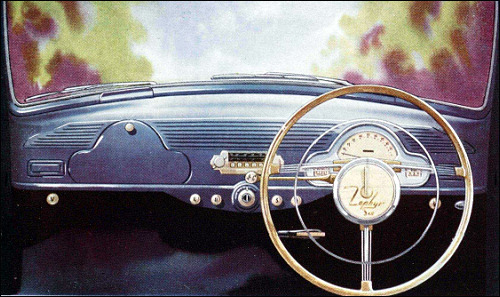 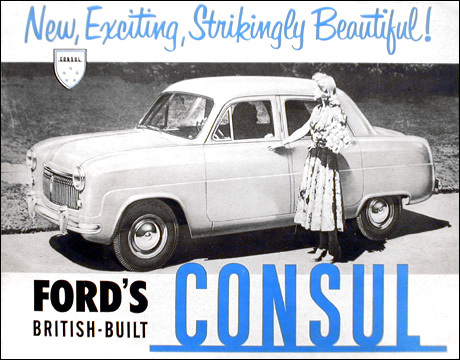 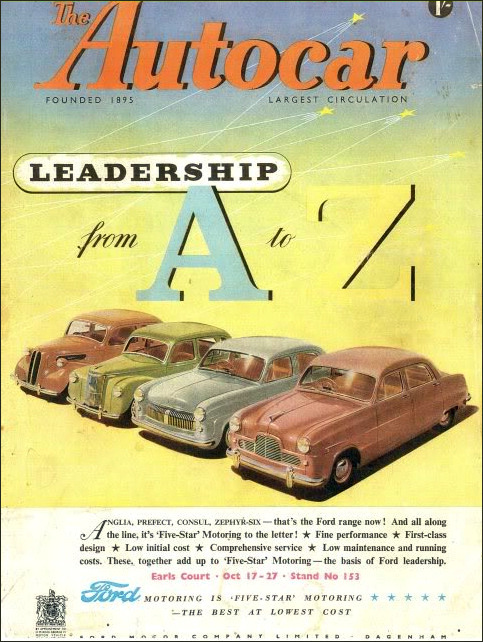 In September 1952 the dashboard was revised and the instruments centred round the steering column. 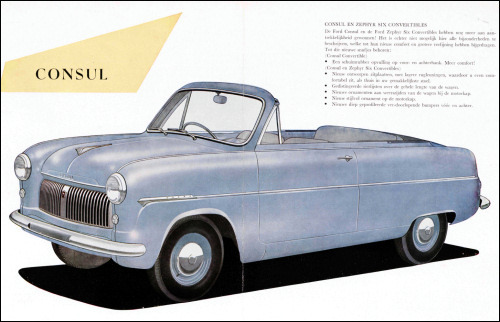 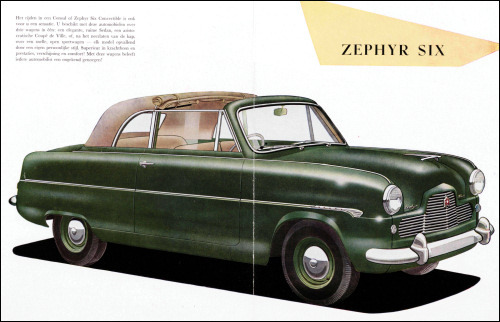 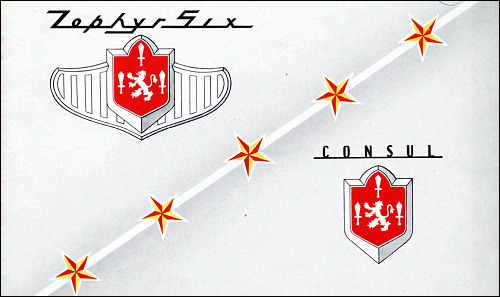 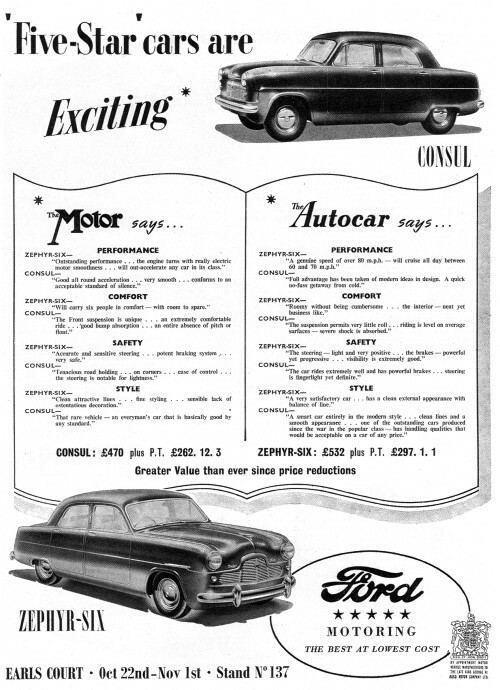 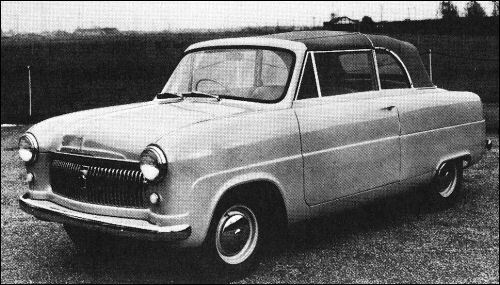 Ford Consul and Zephyr Six Drophead Coupés are mechanically similar to their respective saloon versions. 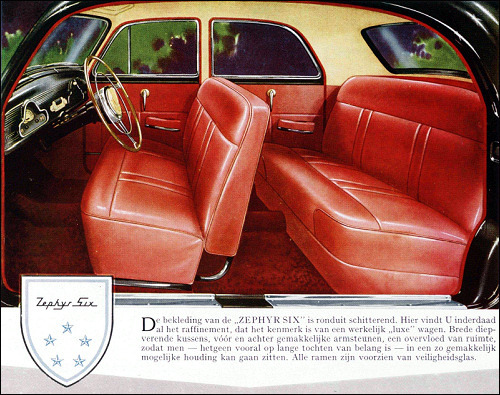 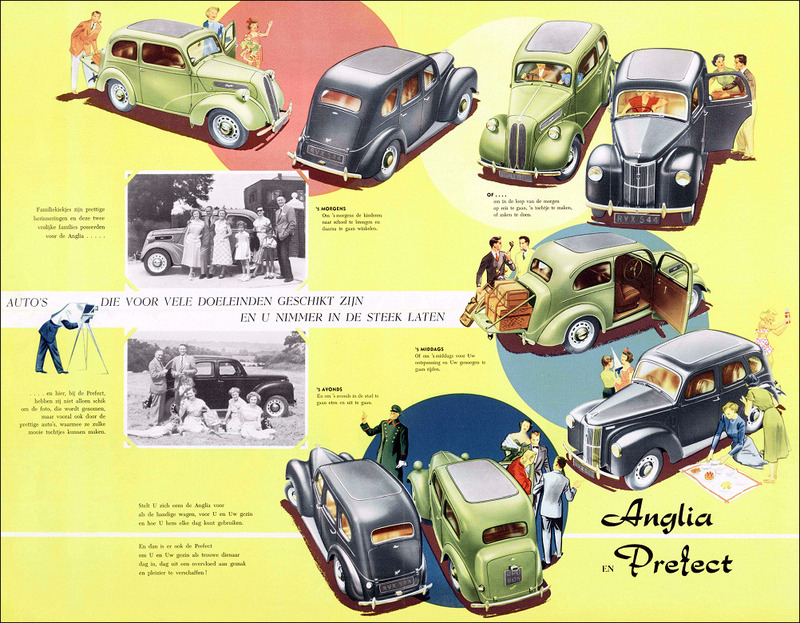 These two-door models have a folding top which could be power-operated to the halfway position; manual operation is required to close it fully or to take it back to this position. 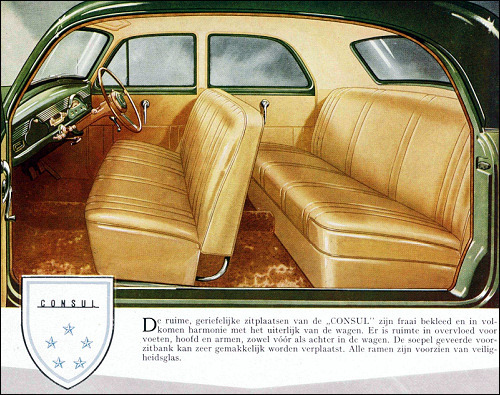 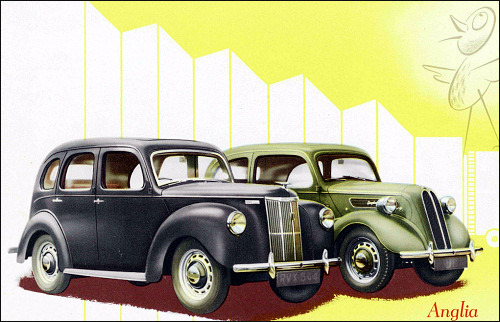 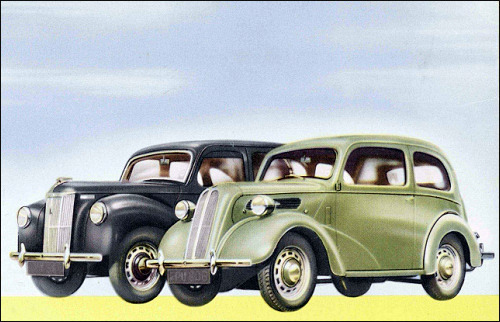 Unlike the saloons, they have a divided front seat, each section being separately adjustable with a tilting squab.